I made a bacon and leek quiche, a honey-lime berry melange topped with almond creme, and a grapefruit spritzer to drink. 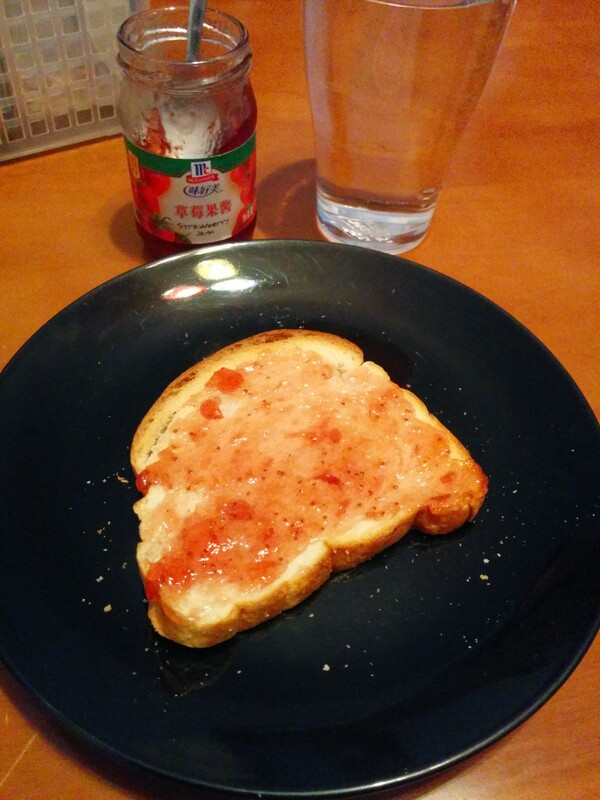 We had faux Wonder Bread and jelly. Not even any fruit to go with it. I will now hang my head in breakfast shame. This ain’t Epicurious, folks. This is the kind of tofu that you can typically get in the U.S. 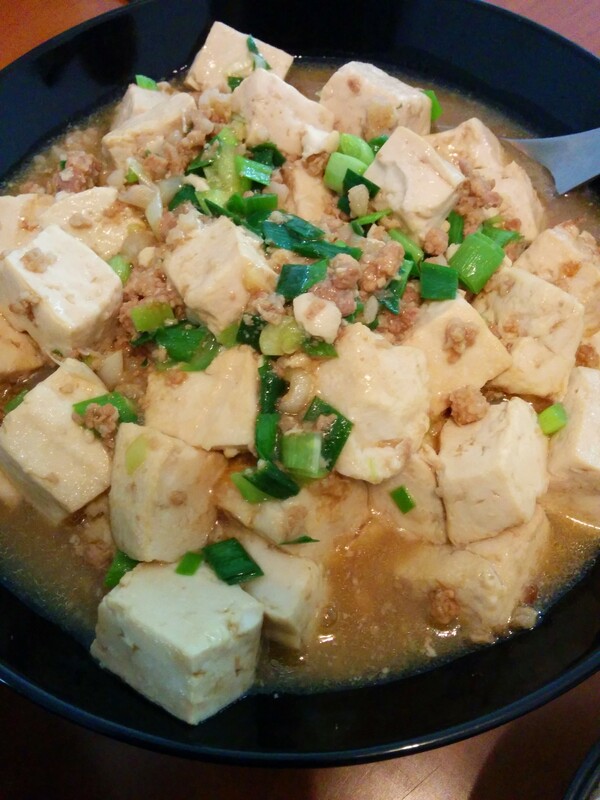 Here it’s called 水豆腐, watery/wet tofu. 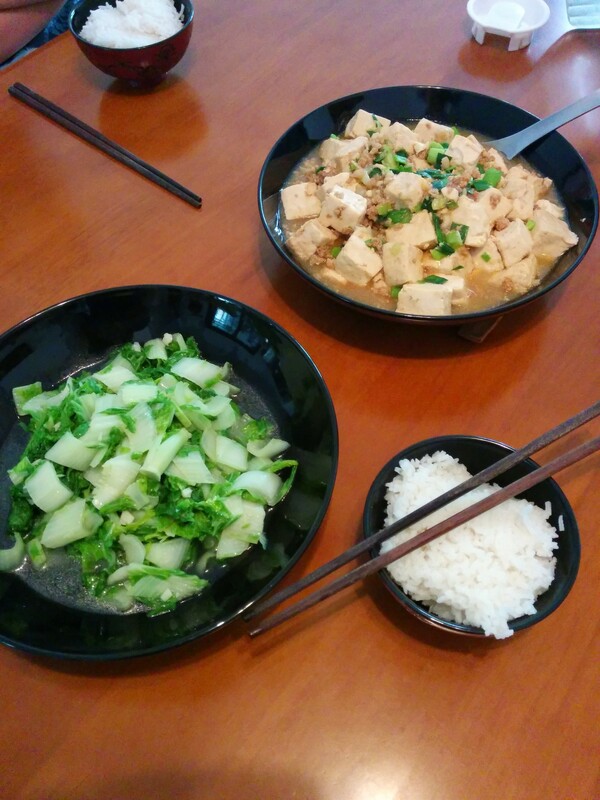 For lunch today, it was cut into cubes and topped with a bit of ground pork and chopped green onions. This is a great example of how meat is used as a seasoning, not as the main ingredient in a dish. The greens are, um…I don’t know what they’re called. But they were good. I know these are made with jiaozi wrappers and are nothing like your Tia Lupe’s, but they are perfectly fine substitutions here. Shhh…don’t ruin the illusion for me. 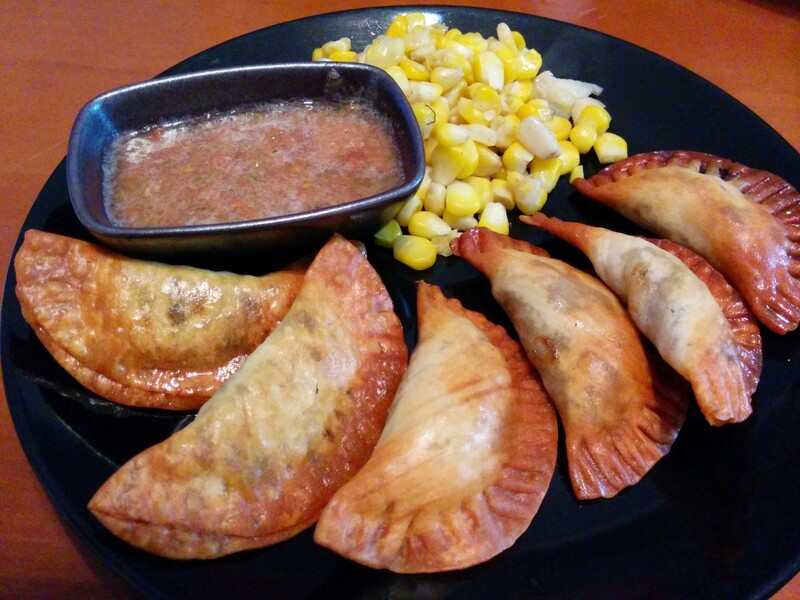 These were so crisp and yummy, and the salsa was wonderful. There is a chance that part of what made the dinner so delicious was the fact that there’s just not a lot of Mexican food in our lives right now. Absence makes the taste buds grow fonder. Oh, and we had corn, too. It was good, but we were focusing on the empanadas. There’s more thrills, chills and spills waiting for you on Day 4!